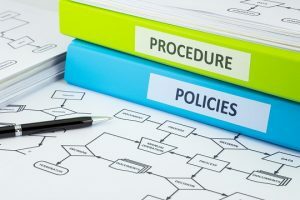 A standard operating procedures (SOP) is a written document that explains how people working at your company should complete a specific task and why they should complete it in the way that you specify. SOPs will ensure that specific tasks are completed in a consistent manner and will help ensure that your employees are completing tasks the way that you would want them to. Your SOPs will also explain why you do things a certain way, which will allow your employees to better understand how you think and you want your business run. SOPs effectively allow you to scale yourself because you can ensure that decisions are made using the criteria that you desire and that work is completed in a manner very similar to if you were doing it yourself. If your business uses SOPs and you have an employee turnover, you can use your SOP documents as training material to help get your new employee up to speed more quickly. SOP documents do not have to be complicated. Most of our SOPs are simple text documents that are less than five-hundred words in length that are organized in a shared folder in Dropbox. Each SOP that our business creates contain background information about why the task is important to the company and why we complete that task in the manner that we do. Our SOPs also contain a set of steps to follow when completing that task, so that our team members can complete the task in a manner that would be consistent with how we do it. We try to create SOPs for tasks that are repeated at least once every other month so that we complete tasks consistently and correctly. 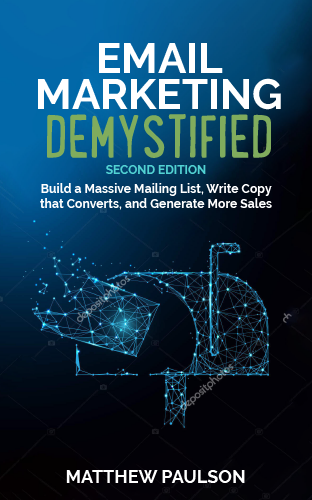 Background: MarketBeat offers a variety of premium subscriptions that renew on either a monthly or annual basis, such as our daily newsletter (MarketBeat Daily Premium) and our research software (RatingsDB). All of our products come with a 30-day money-back guarantee, which offer our users a risk-free way to try out our software to see whether or not it’s a good fit for them. Every now and then, someone will request a refund and you will have to decide whether or not to grant them the refund or not. Refund Window: Our official refund window is 30 days, but you have flexibility to grand refunds up to 90 days if you determine that the situation warrants a refund (i.e. the user had problems accessing their subscription, their subscription was renewed and they didn’t want it to renew, they’re going to be a big pain to deal with, etc.). However, we do have to place some end-date on offering refunds, because PayPal does not permit payments to be refunded after 60 days and our credit card provider does not permit refunds after 90 days. We stand by our word. Everyone that requests a refund within the first 30 days of their subscription, regardless of reason or circumstances gets a refund. We don’t need haters. We would rather give someone a refund than leave them with a negative image of our brand. You have permission to solve problems. You can solve any customer’s problem without asking me, as long as it costs the company less than $200.00. If it’s going to cost the company more than $200.00 to fix a customer’s problem, check with Matt first. When a refund request comes in, check their subscription date to determine if they are eligible for a refund. If they would normally be eligible for a refund or if you believe there is good reason for them to receive a refund past the normal refund, move to step two. If they are not eligible for a refund and there is no compelling reason to stretch out our normal refund window, respond to their request using the “Refund Request – Denied” email template. If a refund is approved, navigate to their account management page in our software system and find the payment in question. Click the “refund” button to process a refund back to their credit card. If the payment is more than 60 days old, you will need to manually refund the payment by logging into our PayPal account or our merchant account. After you have processed the refund, send the customer using the “Refund Request – Approved” templates which lets them know that their refund has been processed and will appear in their account in the next five business days. By having this standard operating procedure document for processing refunds, I know that my customer service team will consistently apply our refund policy, use the same principles that I would to determine whether or not to approve a refund and use consistent messaging with each customer. If a new team member comes on board and the need to process a refund for the first time, they can refer to this SOP and follow the provided steps to process the refund without having to anyone else having to directly train them to complete this task. I truly believe that SOPs are a requirement for any business that is going to grow beyond six figures in annual revenue. You only have so many hours per day to work in your business and manage your employees. Having solid SOPs in place will ensure that your principles and processes are followed consistently when completing any given tasks for months and years down the line after you initially write an SOP. To learn more about standard operating procedures, I recommend reading the book Work the System by Sam Carpenter. The book teaches how to use a systems mindset in your business and create a series of systems and standard operating procedures so that your business can grow, scale and succeed.